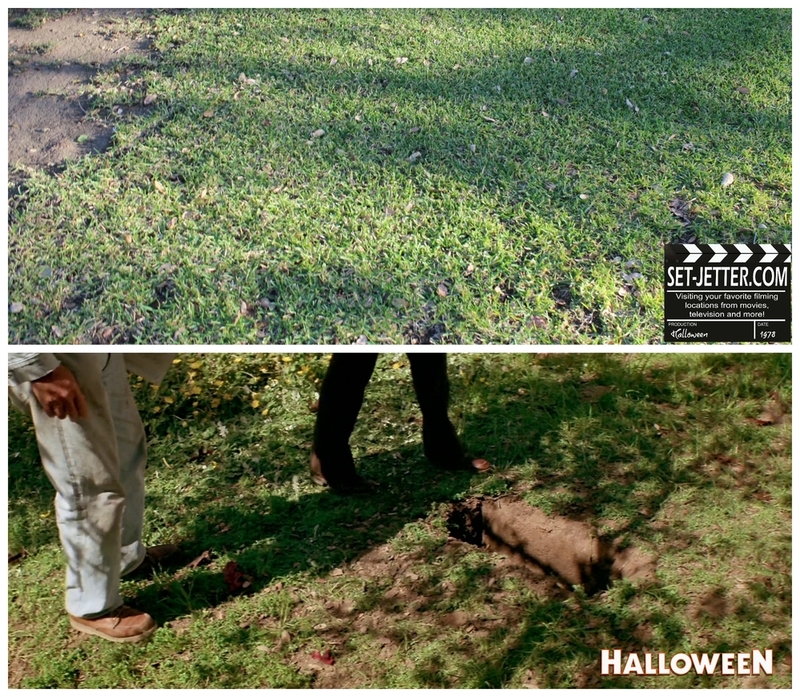 The first horror movie I ever saw was "Halloween" on the NBC broadcast in 1981. And I use the word "saw" very loosely as I was scared to death and could barely watch it. The movie affected me so much that the fear eventually turned into fascination and became the cornerstone for my love of movies. To this day, I claim it as my favorite movie of all time. The first time I was able to visit the locations was in late 2001 when I was in LA with my family for the Rose Bowl. 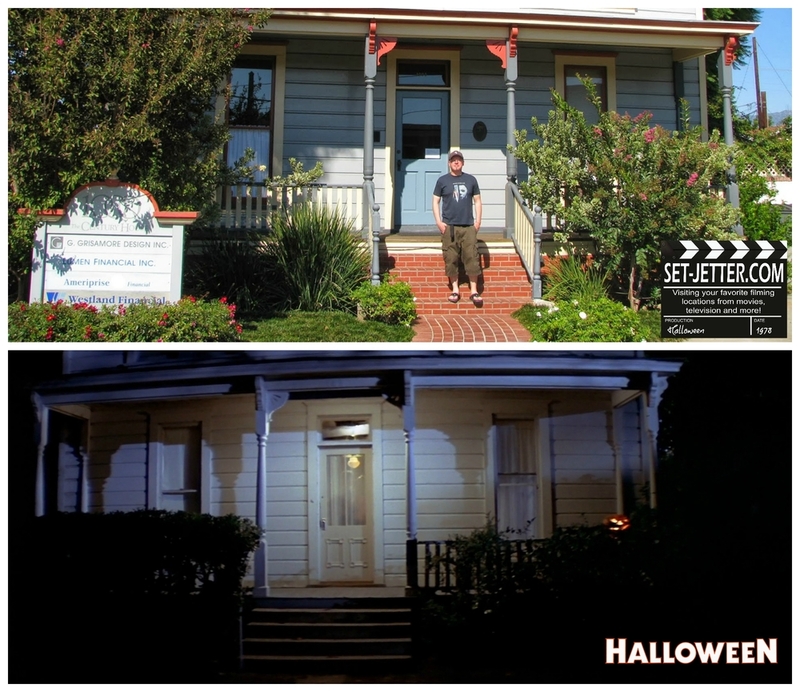 Seeing the Doyle and Wallace houses and walking the streets of "Haddonfield", especially at night, was absolutely unreal to me. I typically revisit some of the locations if I'm in the area, so you'll see the houses in various states. 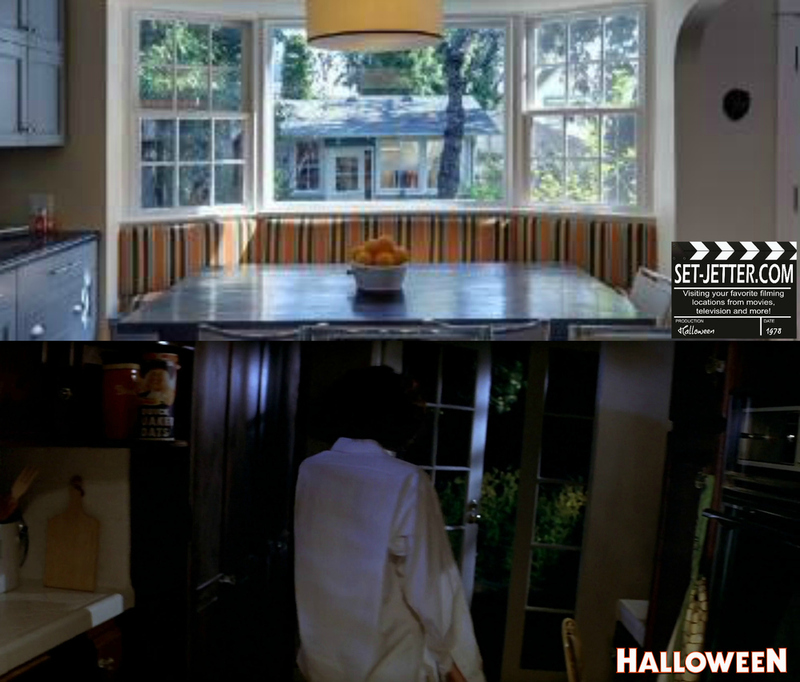 First up, the movie opens with the famous steadicam shot of the Myers house. 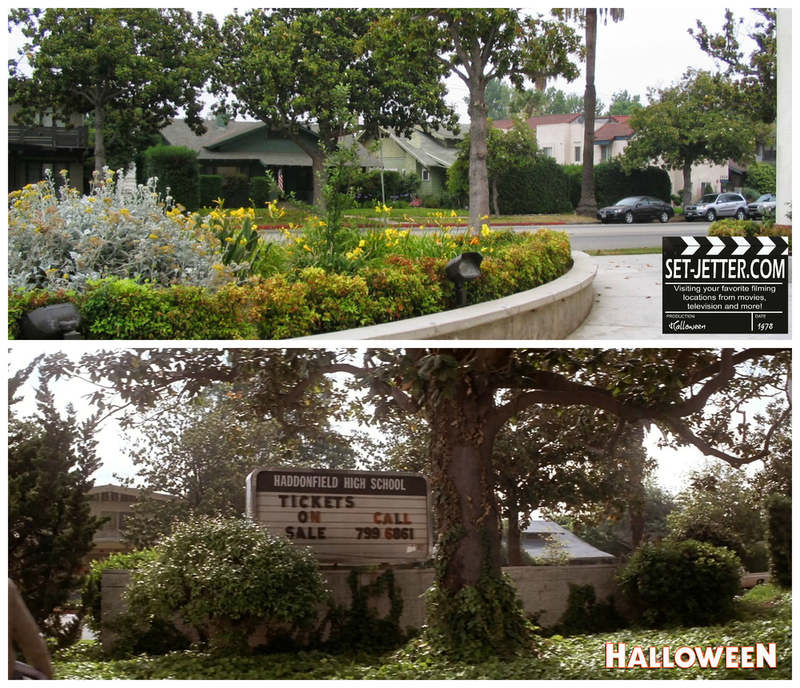 As fans know, the South Pasadena house was moved from its original location and now adjacent to the "hardware" store. The back third of the house was also permanently removed as part of the move. The house is featured in several "present day" scenes in a more dilapidated state. 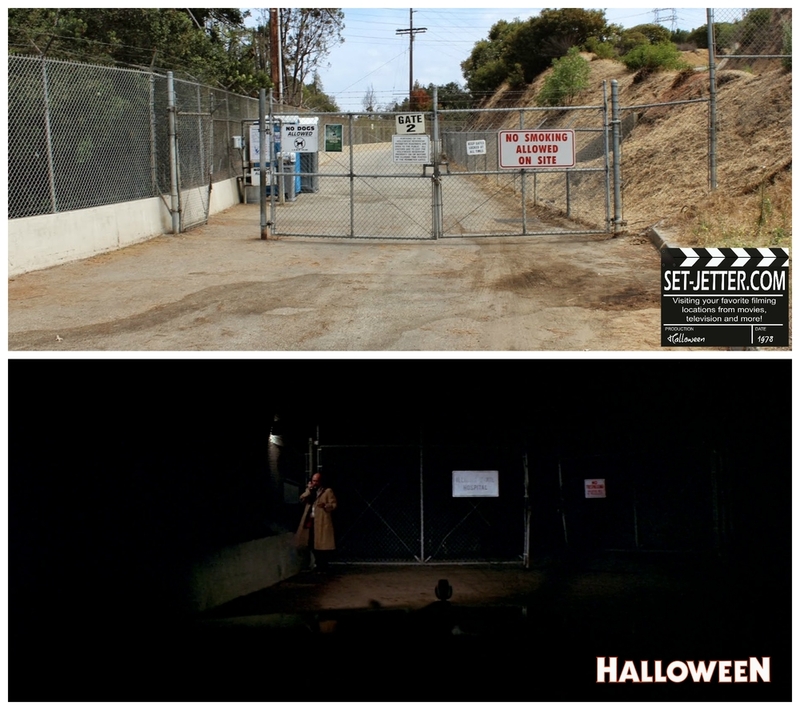 Next we witness see the escape of Michael Myers from Smiths Grove, which is actually just the road around the Hollywood Reservoir. (The exterior used for the hospital in a later scene was located at 3900 Lincoln Avenue in Altadena, but the building and campus has been demolished. 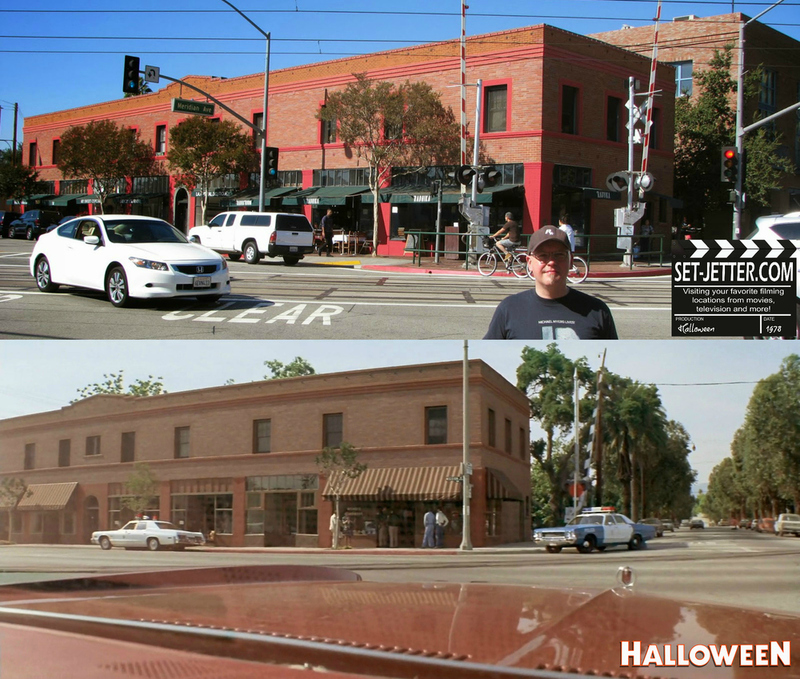 The establishing shot of Haddonfield is at the intersection of Montrose Avenue and Oxley Street in South Pasadena. Our first visit to the Strode house, also in South Pasadena and a couple blocks from the Myers house. It is located at 1115 Oxley Street. After school, she returns to the house and enters through the other door located at 1013 Fairview Avenue. As Laurie walks to school, she starts at the north corner of Magnolia and Merdian Avenue in South Pasadena. She crosses across Meridian to the south corner of Magnolia where she meets up with Tommy Doyle. 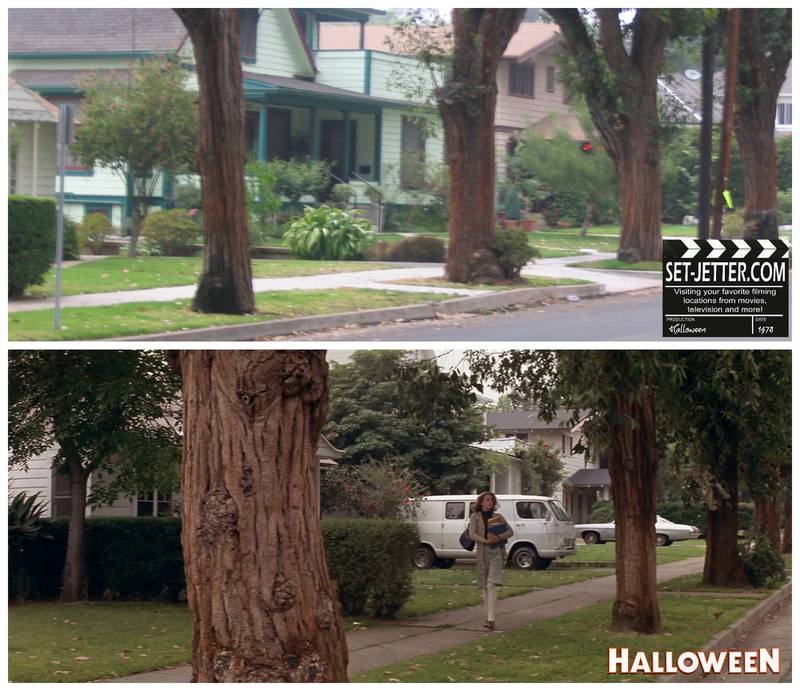 In the scene they continue on down Magnolia to the original Myers house location before Laurie heads off to school. Speaking of school, Laurie's classroom is located at Garfield Elementary at in Alhambra, California. The exterior of the same school is later used for Haddonfield Elementary. Catching up with Dr. Loomis, we find him on a payphone next to a railroad. The intersection was around Old Ranch Road and Brea Canyon Road in the City of Industry, California. Decades later, the area is barely recognizable as industry truly did take over the spot! 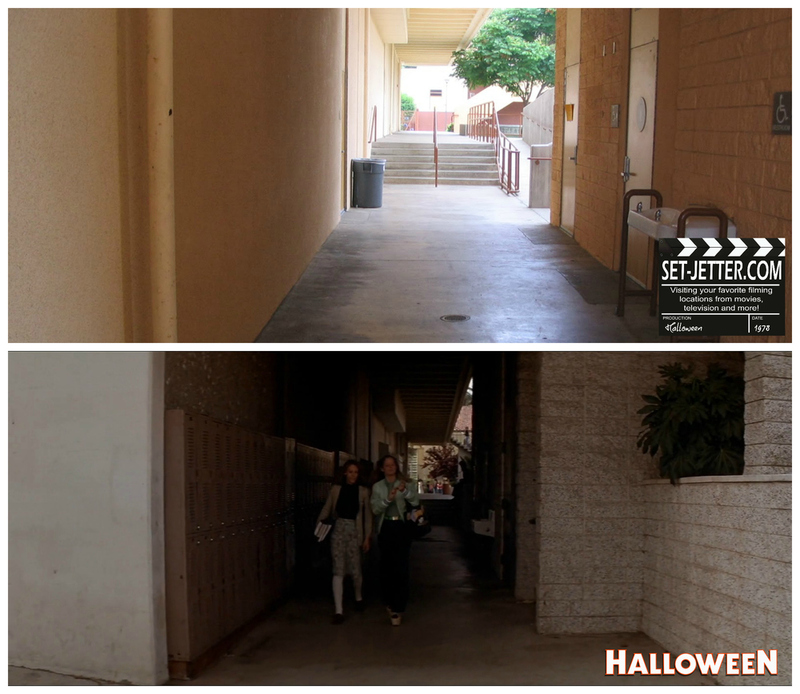 We return to Garfield Elementary in Alhambra. This time we start on the North 2nd Street side of the school as we see Tommy getting ridiculed by some bullies. Michael follows Tommy around the corner and onto West McLean. Laurie and Lynda leave school to head home. This time the location is South Pasadena High School, 1401 Fremont Avenue. 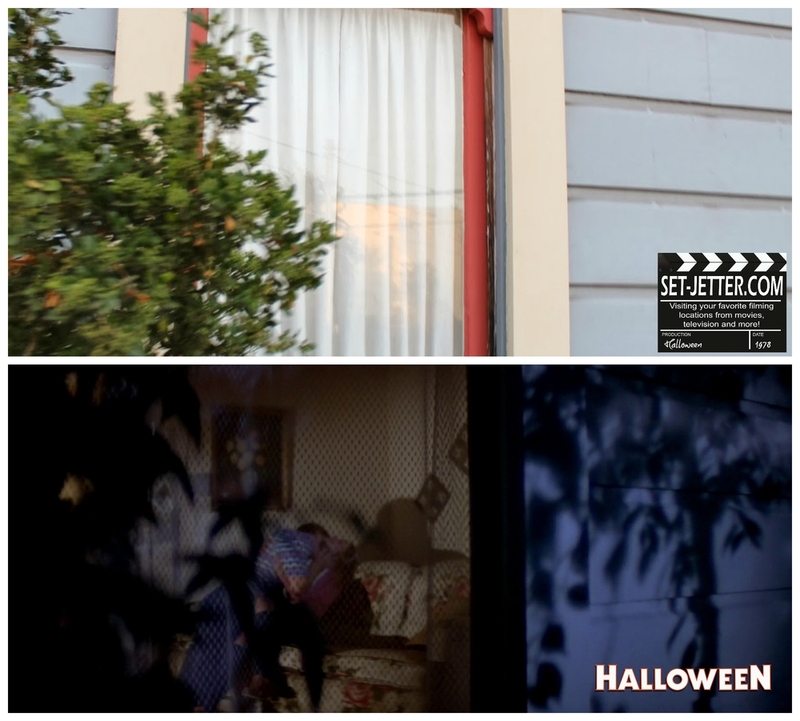 The facility has been drastically renovated since filming, but there are a few spots still recognizable. As they continue to walk home, Annie catches up with them at the corner of Highland Street and Fairview Avenue. The girls continue on Highland, crossing to the north side of the street when Michael drives by, speed kills! 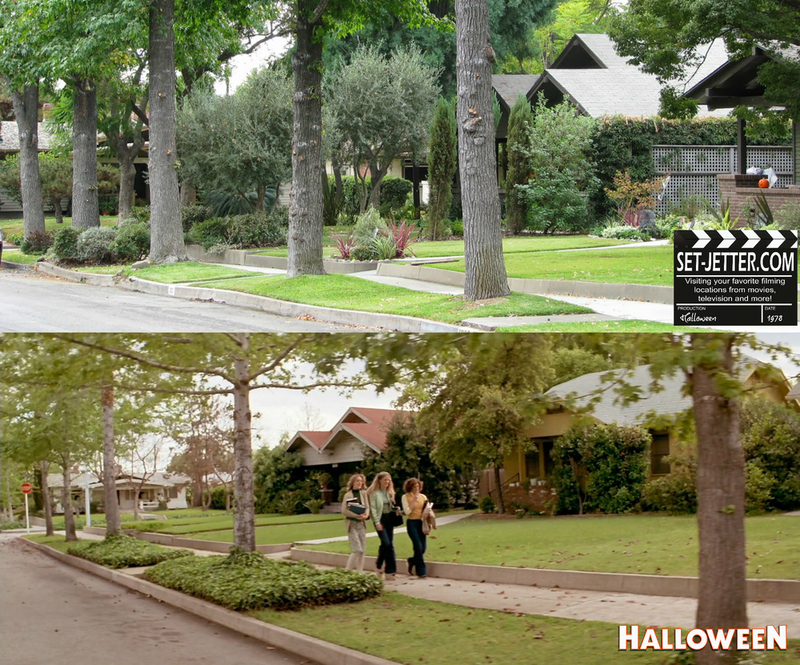 This same street is used for Rob Zombie's remake as Laurie makes her way home at the next corner. 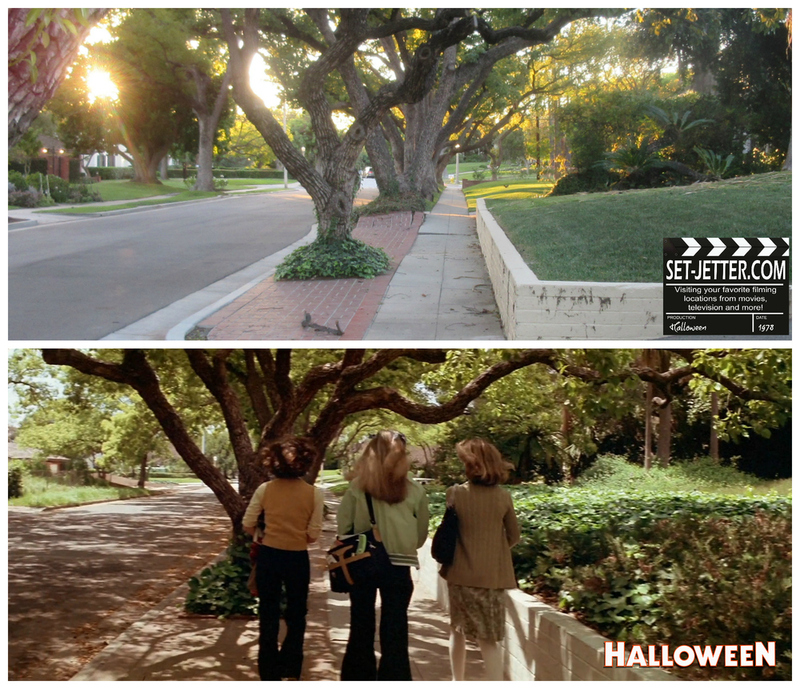 The girls continue their walk home on Montrose Avenue in South Pasadena, just past the corner used in the establishing shot of Haddonfield. 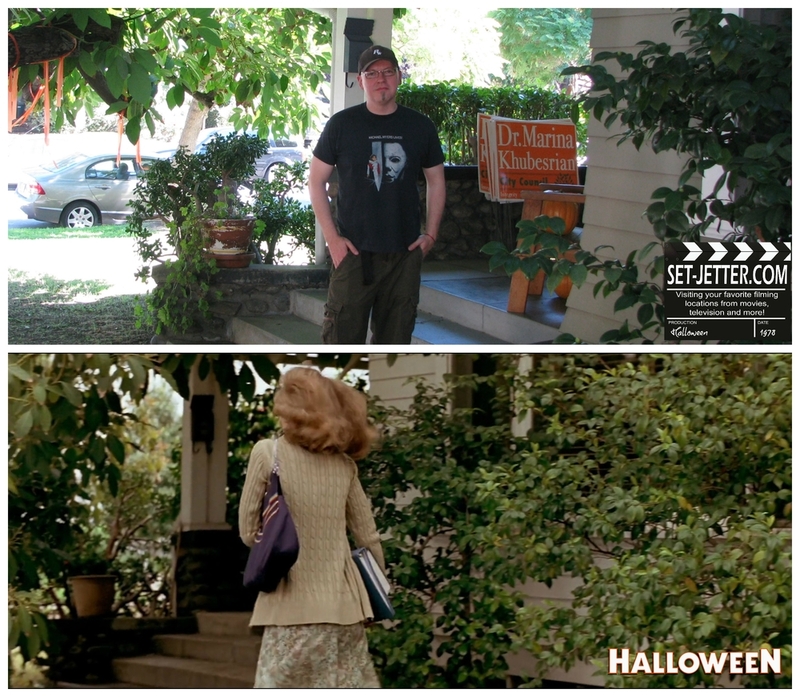 The trio walk together until Lynda arrives at her house at 1027 Montrose, better known as the Mama's Family house! Laurie and Annie continue up the walk until Laurie spies Michael hiding behind the bushes in front of the house at 1019 Montrose. Continuing on, Annie arrives at home sweet home at 1017 Montrose where Laurie is startled by Sheriff Brackett. Back at the Strode house, Laurie waits for Annie to pick her up at the corner Oxley Street and Fairview Avenue. 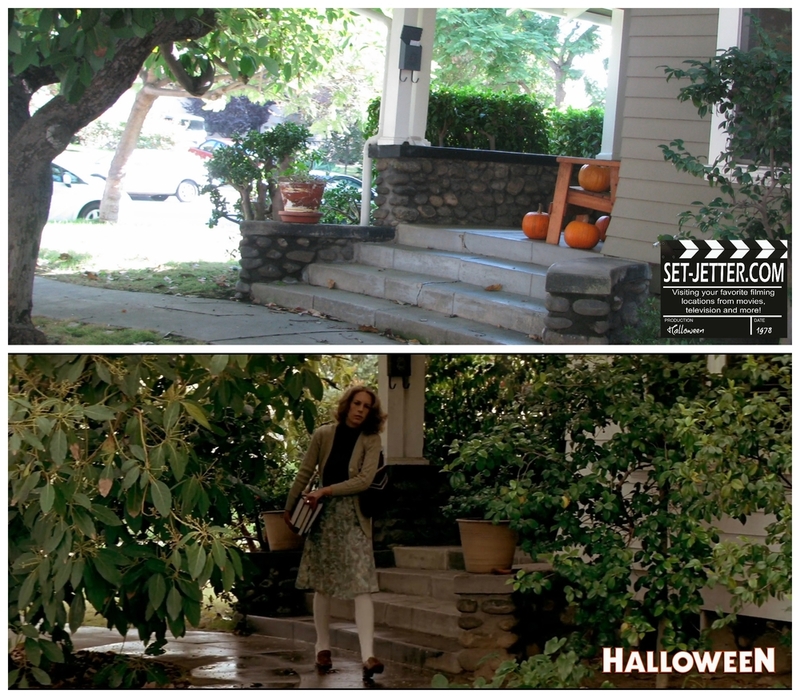 Kudos to the owners of the house for embracing fans and leaving out a pumpkin year-round so you can recreate the scene! And yes, I'm that kind of nerd that recreates the Laurie waddle across the street with the pumpkin as well. 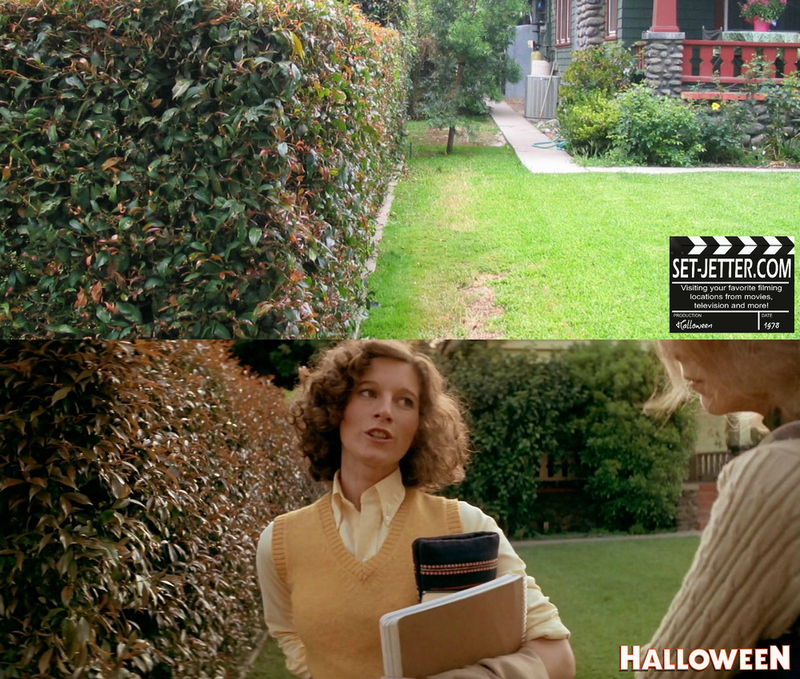 Quick note about Laurie's point-of-view shots while watching trick or treaters. When looking right, the POV shot is correct as she looks south on Fairview Avenue. However, when she looks left, she is looking over 10 miles west at the corner of North Genesse and DeLongpre Avenue in West Hollywood. 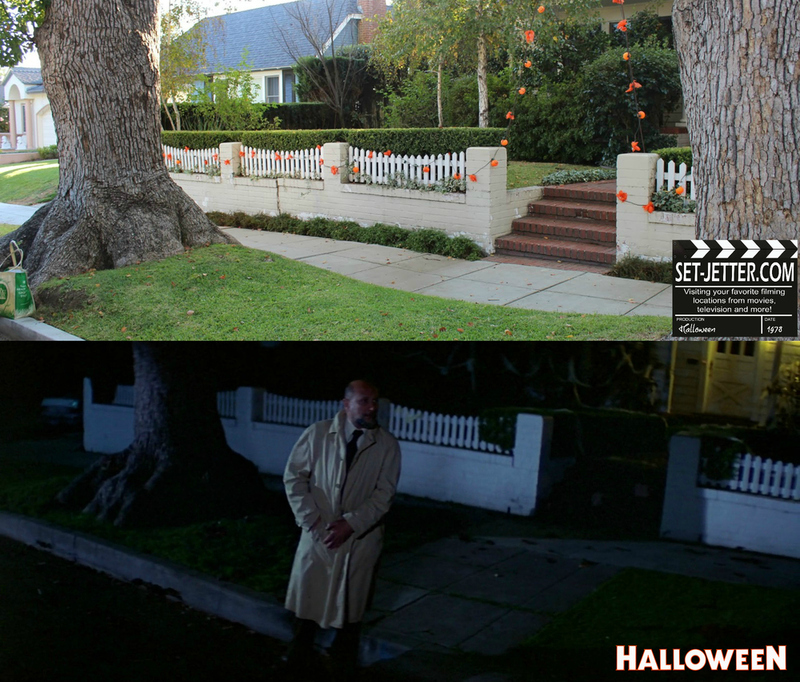 This corner is seen later in the movie as Dr. Loomis is combing the streets looking for Michael as well as other horror favorite such as Christine and Nightmare on Elm Street Part 2. For the next drive we return to Alhambra, California. The majority of the drive is on Cynthia Street beginning at North Hidalgo Avenue. 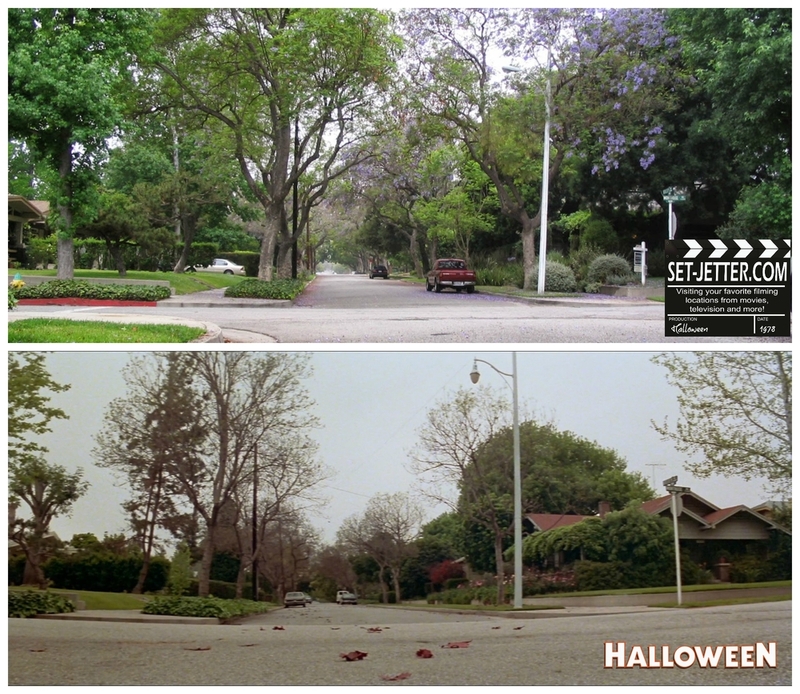 Michael turns to follow them from North Almansor Street and follows them to the end of Cynthia Street. My dad!!! The girls are now back in South Pasadena on Meridian Avenue at El Centro Street. They drive toward the hardware store, located at 966 Mission Street. I had been looking for this next location for many years. 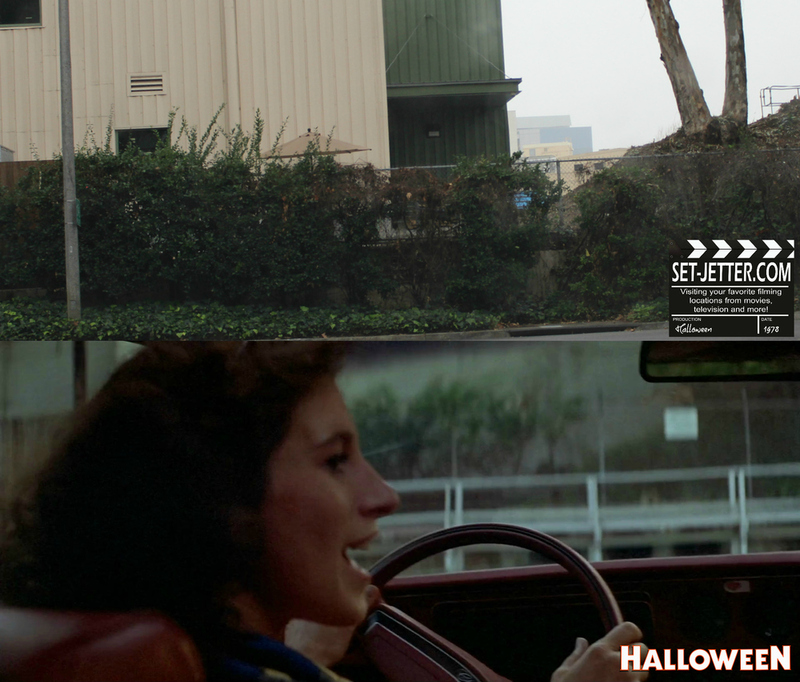 The scene is the second half of the drive to the Doyle & Wallace houses and was shot by Debra Hill in the back of the car. 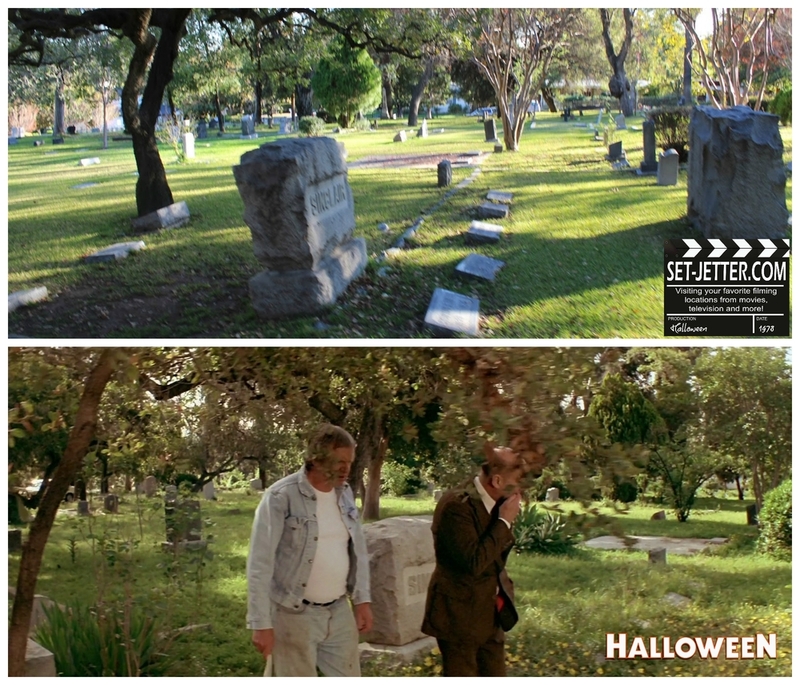 I knew this scene was shot on the last day of filming, so I assumed it would be around the South Pasadena area as that is where the last scene was shot. I had only one house number (2015) to go by and I searched high and low for miles all around South Pasadena. Then one day I decided to check in Burbank, and there it was. I have been past this street so many times, it kills me that this missing location was right under my nose for so long! 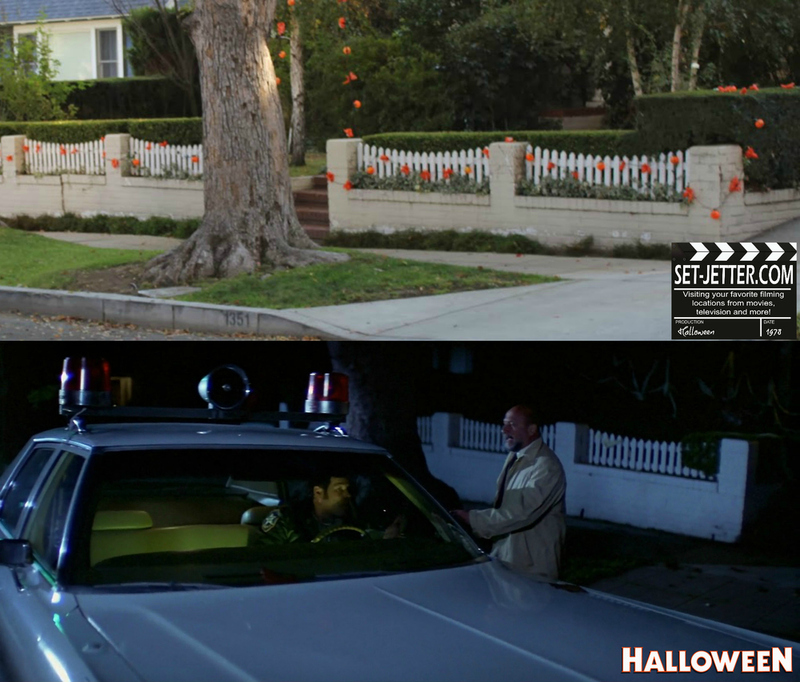 I visited the street at dusk, the same time of day they shot the scene. 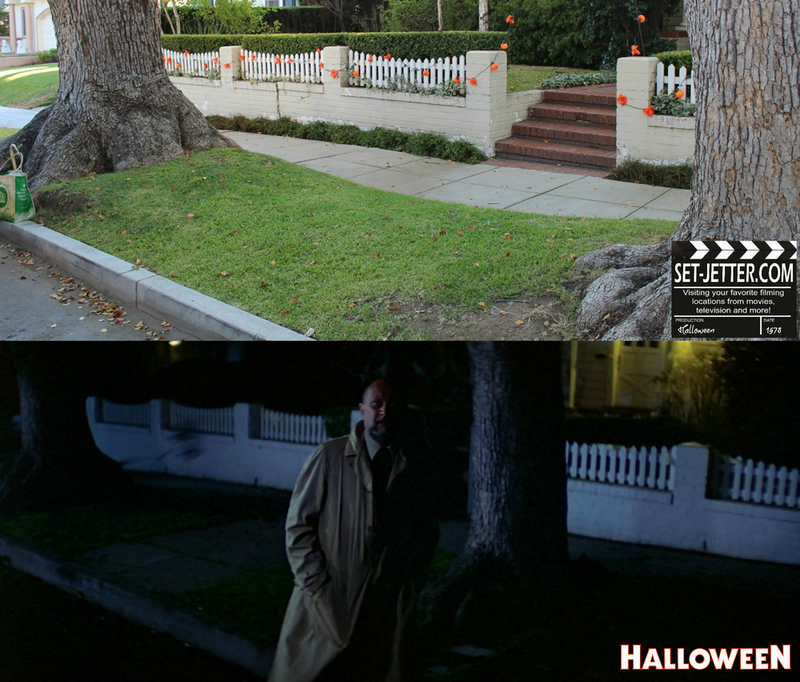 And even more importantly, I visited this location on October 31, 2013, 35-years since the release of the film, so this has probably been my most important Halloween visit yet. Annie drives on Parkside Avenue, from South Parish Place to South Keystone Street, where she turns right and heads up to the light. This route is used for both the car interiors as well as the exterior pan at the end of the scene. 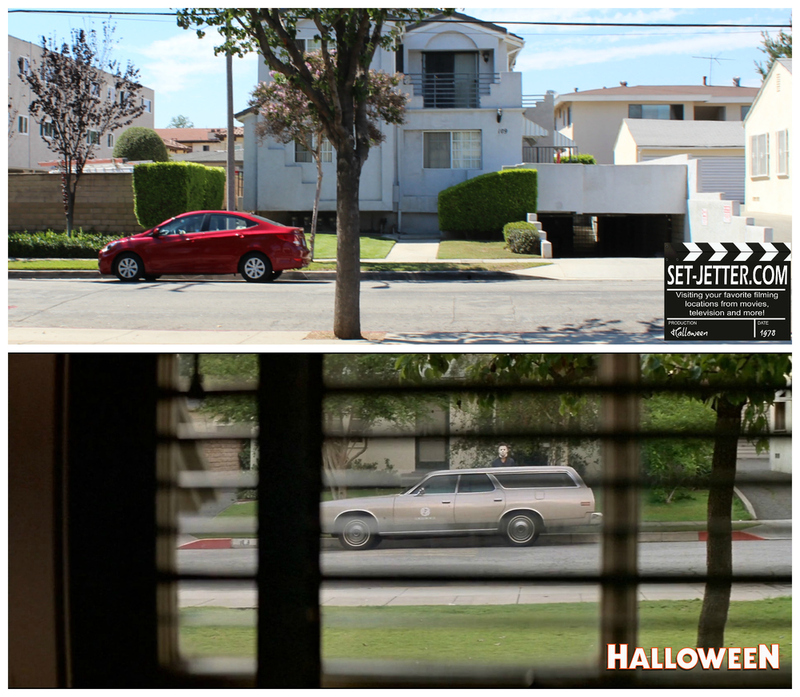 First up, here are some houses scene during the car interior shots. Same route on Parkside Avenue is used for the exterior shots. Doyle residence! A fan favorite, as it has hardly changed at all in the past thirty-five years, the house is located at 1530 North Orange Grove in West Hollywood. Although I go to LA many times a year, I stop by this house every time as part of my tradition. Astute fans will notice that when Laurie is first dropped off, you can see the unaltered glass-pane door. Throughout the rest of the film the door is modified to appear solid wood. Next we'll stop by the Wallace house at1537 North Orange Grove. 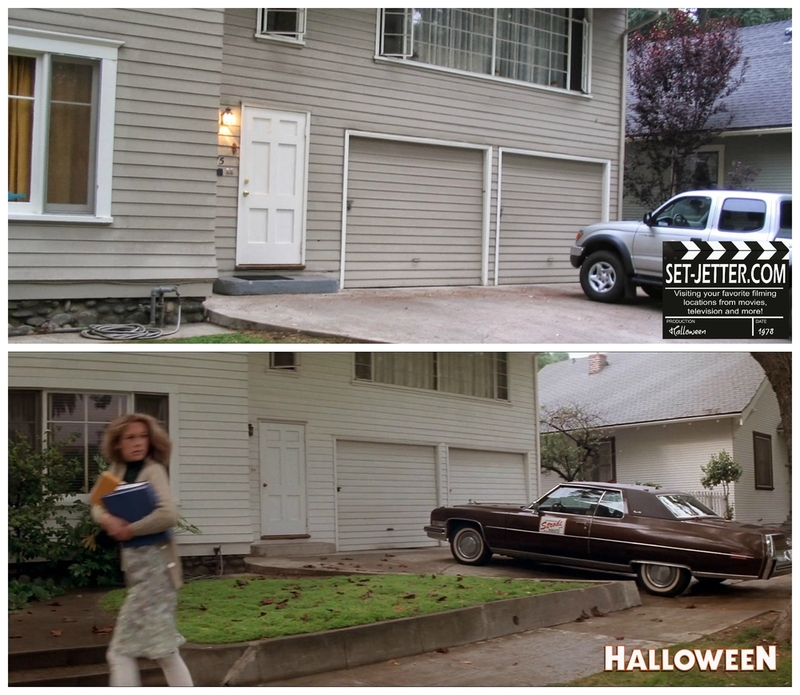 It went under dramatic reconstruction in 2001, so only the right portion of the house is still recognizable from 1978. This house recently showed up on Scandal along with the Doyle house across the street. The interiors for the Wallace house is two doors down from the Doyle's, located at 1542 North Orange Grove. The pictures below were published when the house was for sale a few years ago. 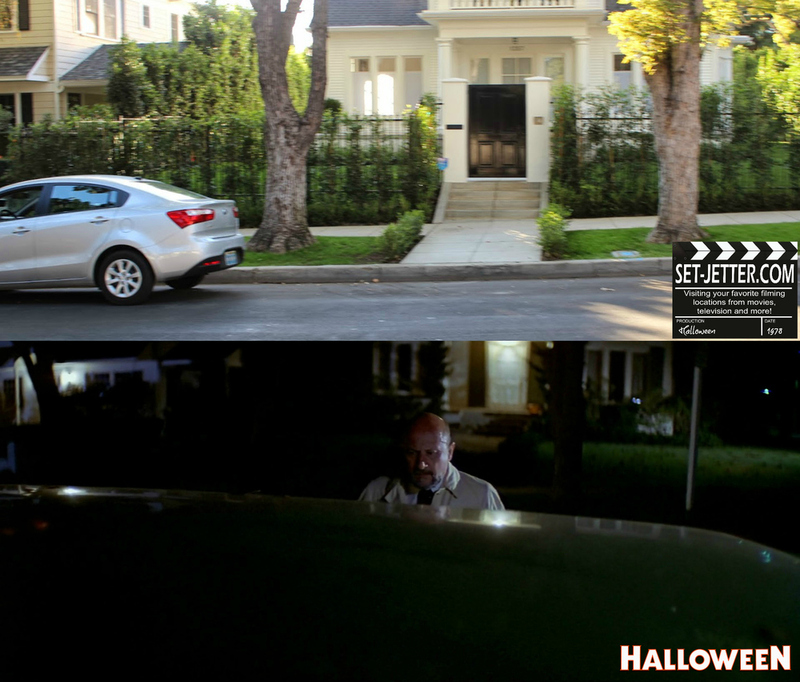 A quick stop off to 1351 North Genesse Avenue, where Dr. Loomis spots Michael's car and is later stopped by Sheriff Brackett as he continues his search for Michael. 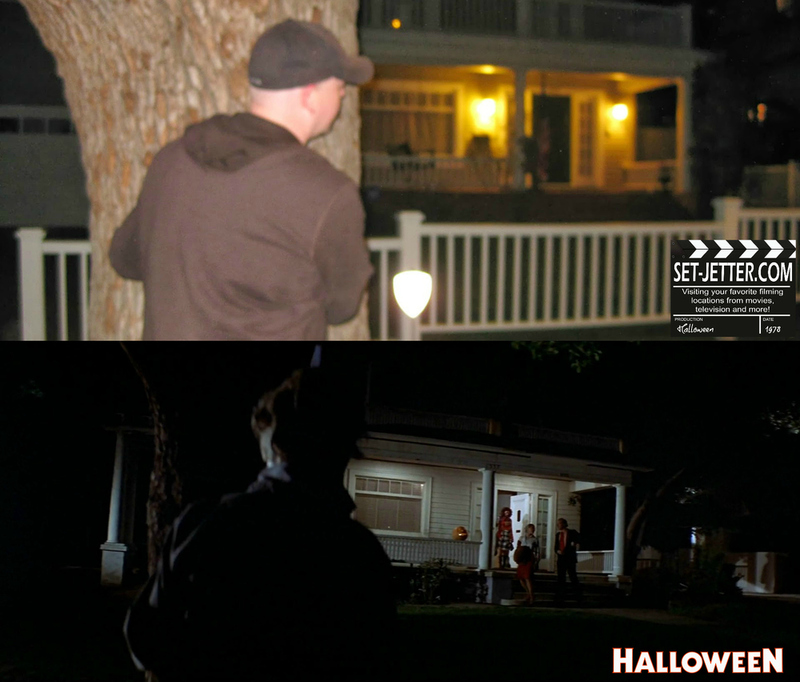 After discovering her dead friends, Laurie runs next door to this house at 1533 North Orange Grove Avenue, but they offer no help. Rumor has it that this house was used for the interiors of the Doyle house. Whew! Throughout my travels, I have gone to some horror movie conventions and specifically the Halloween ones. Below are some of the cast I have met over the years. 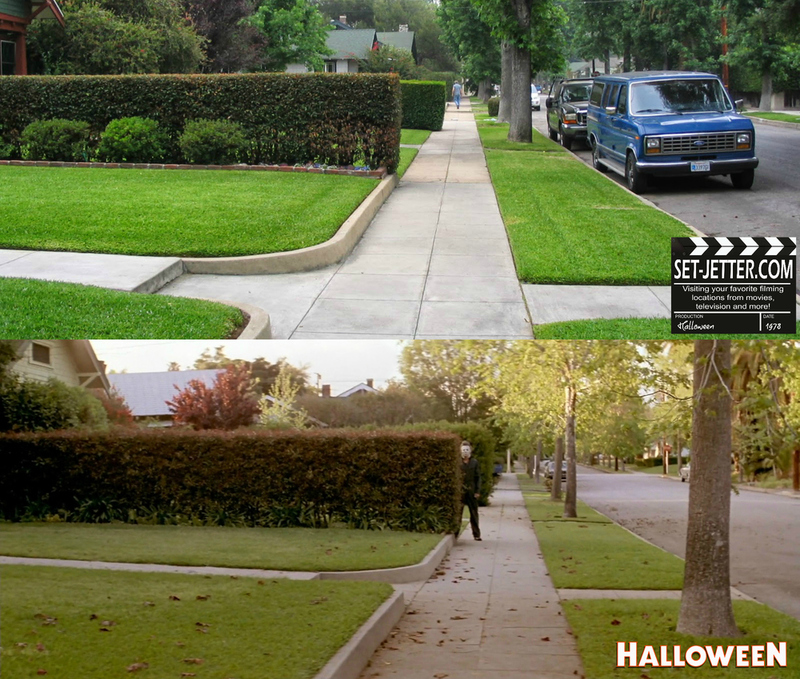 For fans wanting to make the trek to locations, I keep a map updated with all known Halloween locations, click the pic below!